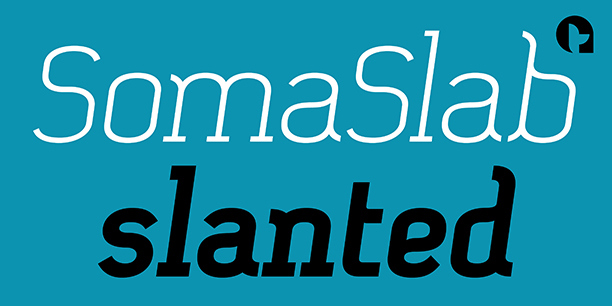 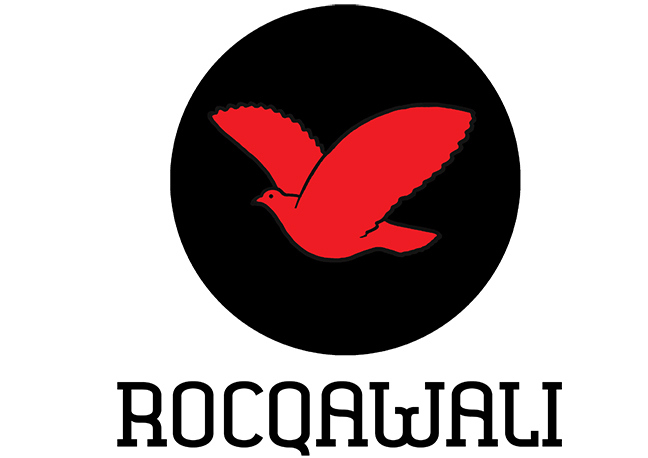 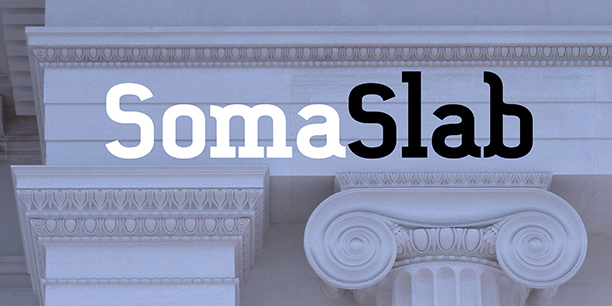 SomaSlab is a serifed-styled font family, available as Regular & Slanted styles in 4 practical weights. 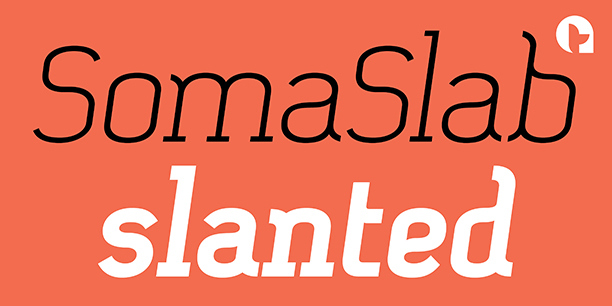 creating an equally balanced fusion between existing classics & contemporary serif faces. 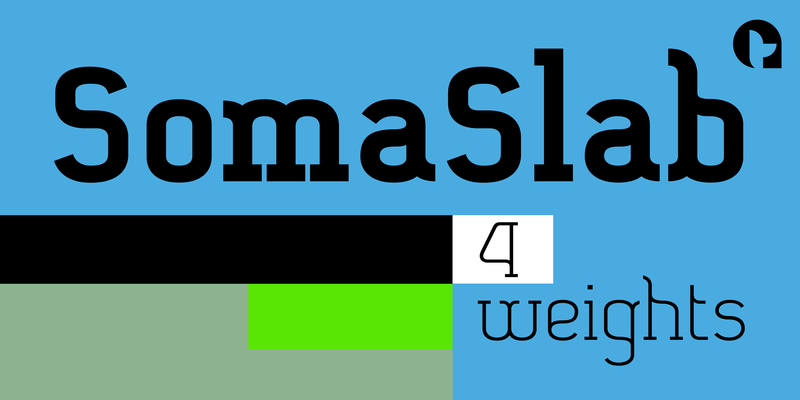 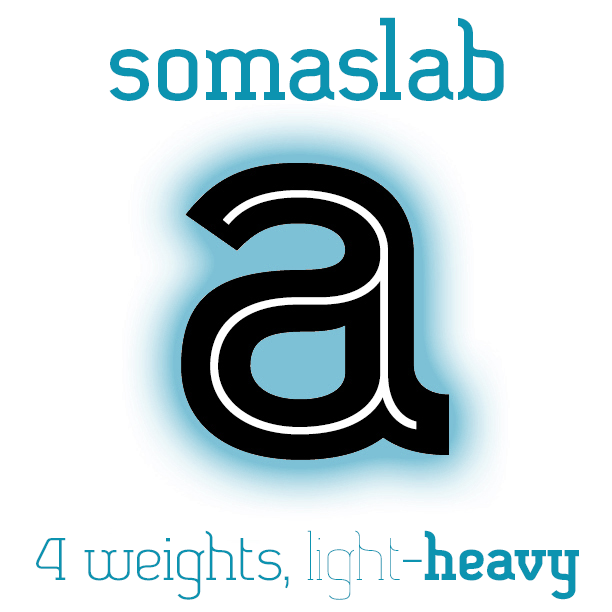 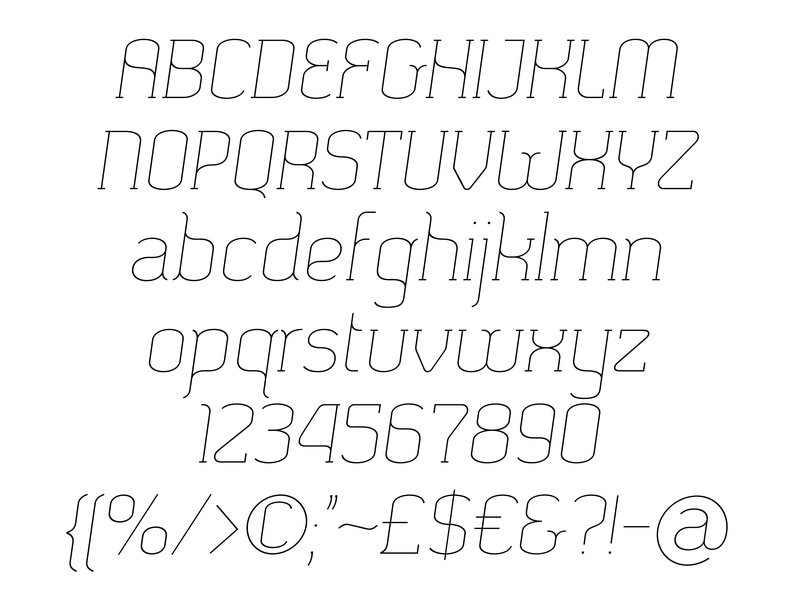 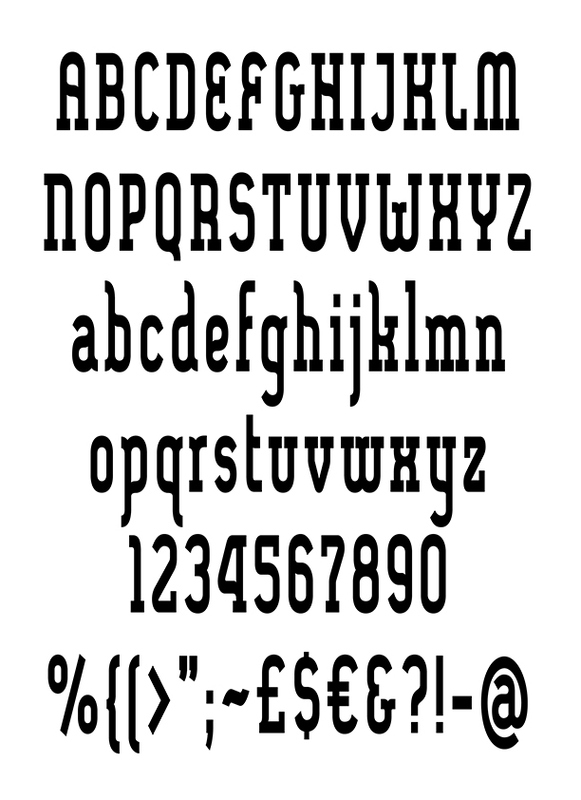 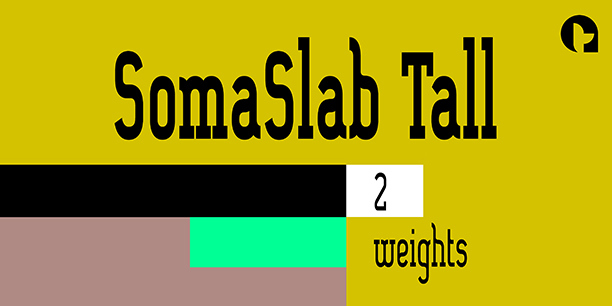 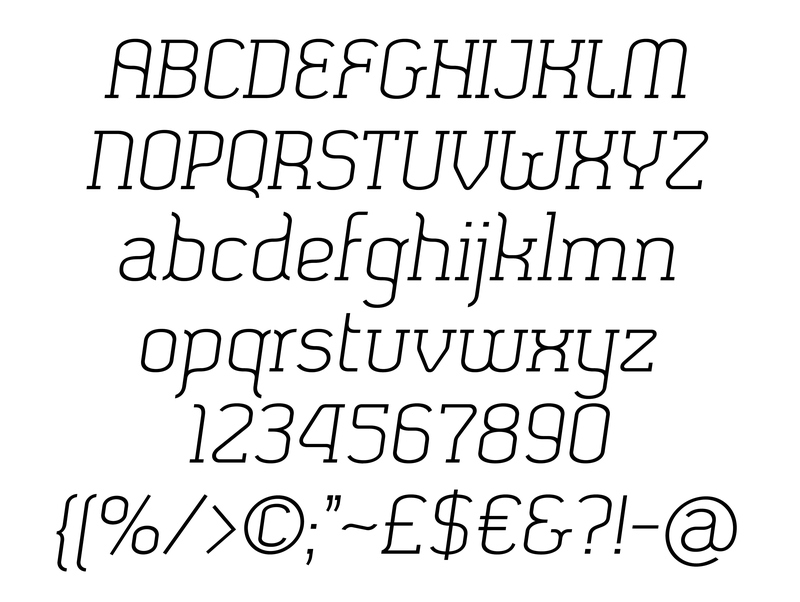 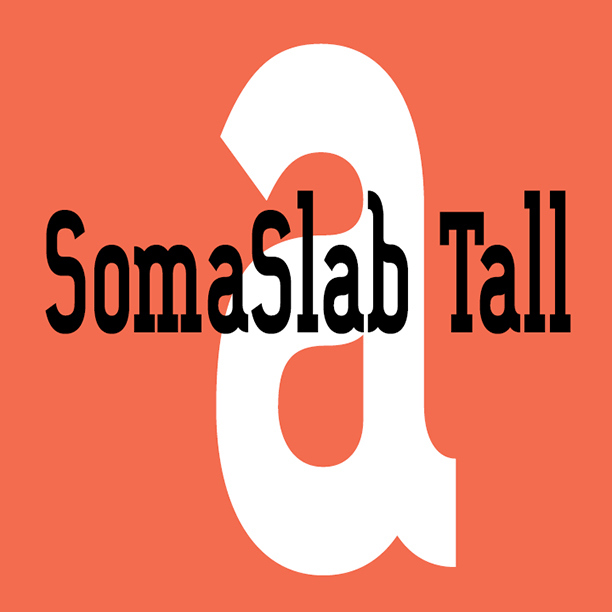 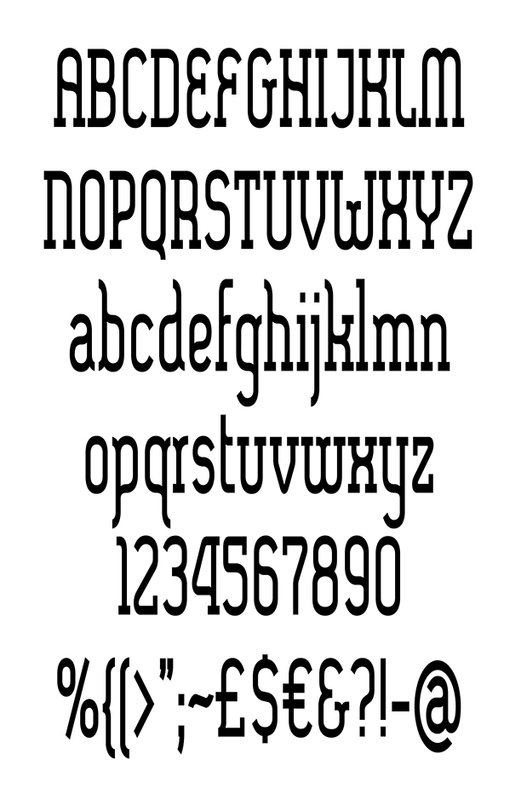 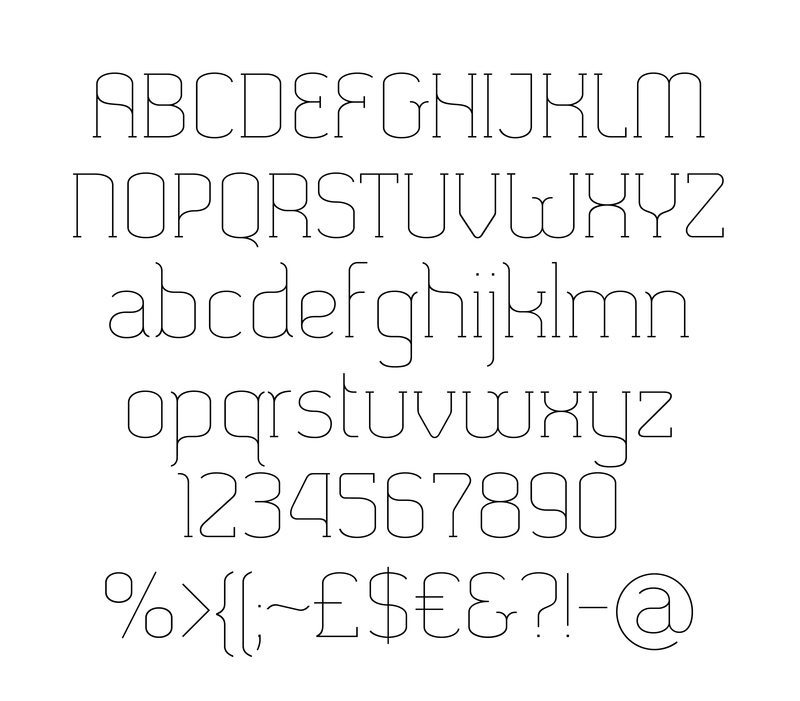 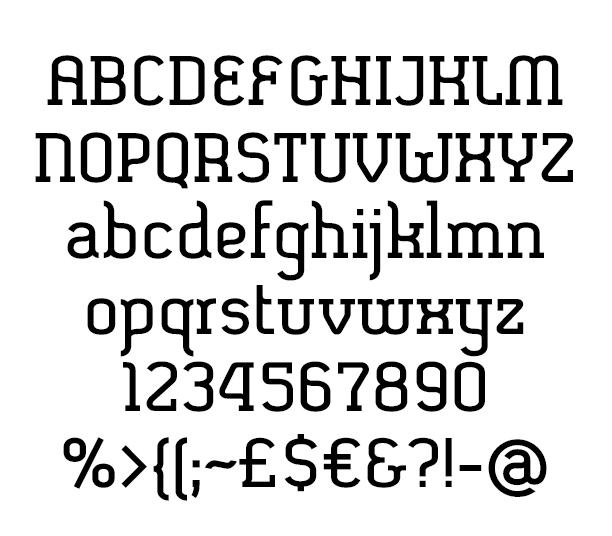 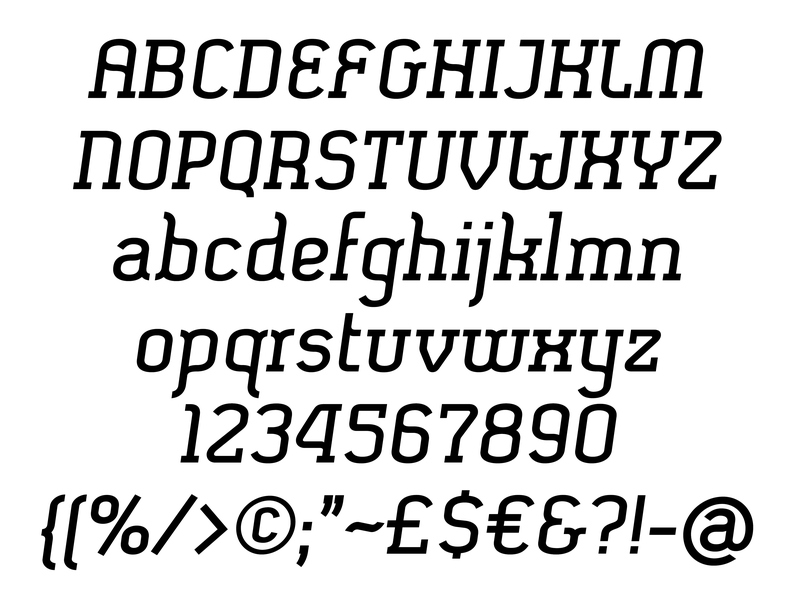 SomaSlab Tall - Has the same characteristics as SomaSlab, in condensed form - 2 weights, XBold & Heavy.